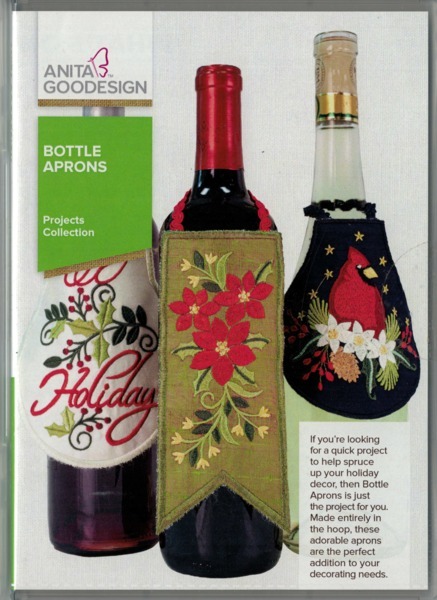 If you’re looking for a quick project to help spruce up your holiday decor, then Bottle Aprons are just the project for you. 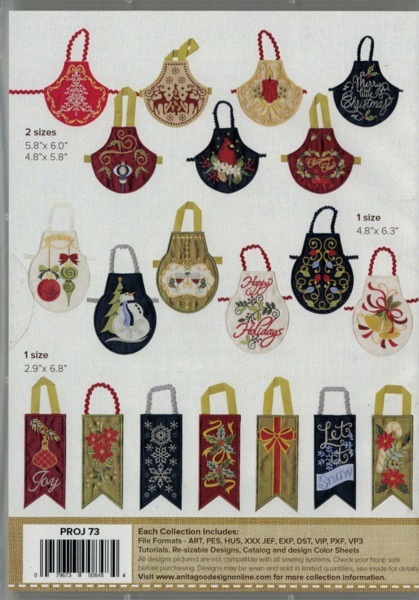 Made entirely in the hoop, these adorable aprons are the perfect addition to your decorating needs. Also, bottle aprons make a charming addition to any gift during the holiday season. With 20 designs in three styles and in two sizes, you are sure to match your creativity with this unique project. Spruce up your wine bottles, add personality to your olive oil bottles or decorate any home decor bottle you can get your hands on. These bottle aprons belong on any bottle in any room in your house, so for that last minute gift giving, jazz it up with your own personal touch!